Your choice of Black with white print or White with black print. YHWH in ancient Hebrew. 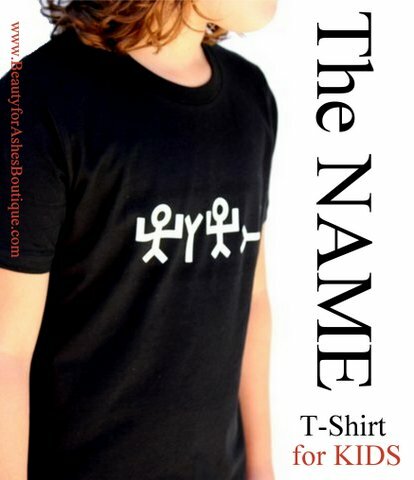 The Name T Shirt for children comes in Youth sizes S, M, and L.